Arguably one of the most versatile foods in existence, chicken has been a family favorite for generation after generation. Whether you prefer the breast or a leg, marinated or dry rubbed, kabobs or a whole bird, there’s no limit to the possibilities of what you can make. We may be a bit biased, but we believe that, regardless of your favorite cut or seasoning, the best way to cook a chicken is to grill it! Slide it on a sandwich, use it as a tasty salad topper, or simply enjoy it as the main entrée. Cooked properly, grilled chicken is tender, juicy, and delicious. But what do we mean by cooked properly? Well, that all rests on how long you leave it on the heat. One of life’s great mysteries is how long to grill chicken. Follow our guide to find out the different factors that may affect your grilling time and some guidelines for guaranteed delicious grilled chicken. 2 Direct heat or indirect heat? 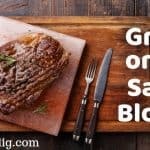 2.1 Do rubs, marinades or brines affect grilling times? 2.2 Does size and weight change grill times? 2.3 Do skin and bones change chicken grilling times? 2.4 Should you rest chicken once cooked? 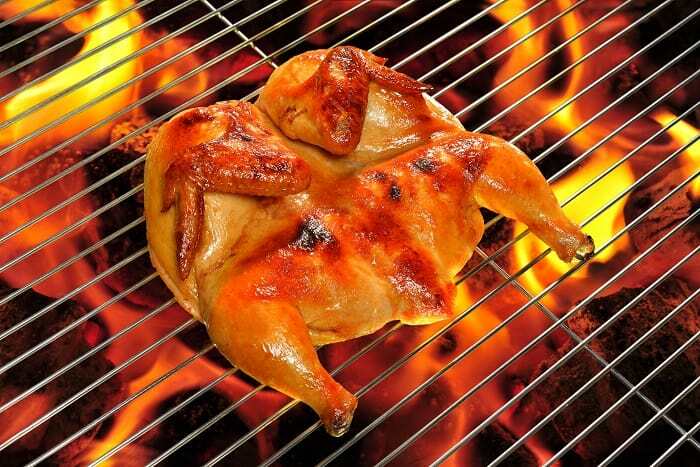 We all know how dangerous raw chicken can be, so it is important to make sure you properly preheat your grill. This ensures that your chicken cooks for the appropriate amount of time at the correct temperature. The temperature should hold steady at about 350-375 degrees. If your grill has three burners, make sure the front burner is on low. The middle should be on medium, and the back burner should be set to high. On a gas grill with two burners, set one to low and the other to high. We do this to give the grill areas of direct and indirect heat. So larger and smaller pieces of chicken can cook together for the same amount of time. Cooking over charcoal? Create a hot spot and a warm spot by pushing the hot coals to one side of the grill. Want to get your fire started hot and fast? 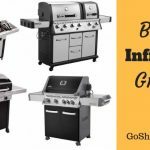 We’ve researched the best BBQ fire starters from electric starters, charcoal chimneys, looftlighters, and more! These methods will get your coals red hot in no time at all. Direct heat or indirect heat? One of the first steps to being a grilling guru is to master direct and indirect heat. What exactly is that? Mostly, they are exactly what they sound like. You use direct heat when you are cooking directly over the heat source. It is very hot and allows you to sear the meat with perfect grill lines. Indirect heat is the grilling version of “low and slow”. You create hot and warm areas of heat and use the warm areas to indirectly cook your meat. It is an especially good cooking method if you’re worried about burning the outside before the inside finishes cooking. If you are cooking multiple different cuts of chicken at the same time, larger pieces of chicken will cook slower than the small pieces. You can cook larger cuts over direct heat and smaller cuts over indirect so that they finish at the same time. Breasts should be kept the closest to the direct heat, then thighs, then legs, then the most indirect one should be the wings. Do rubs, marinades or brines affect grilling times? Rubs, marinades, and brines all pack plenty of flavor into what could typically be an otherwise bland piece of meat. But what you may not realize is that some of those extra flavorings can also change your chicken’s cooking time. Brines and marinades are a wet method of adding flavor. If you are using a cut of chicken that has the skin attached, it will take the skin longer to dry and brown due to the added moisture. The cooking time is not affected if your chicken is skinless. Keep in mind the sugar content of your marinade. Marinades high in sugar tend to burn easily in direct heat. Rubs are a great dry method for adding more flavor to your chicken. The seasoning will not make any noticeable difference to your cook time, but it does help the skin to dry and brown. If you plan on adding any sauce such as BBQ, do so in the last ten minutes of grilling. This prevents the sugars from burning. 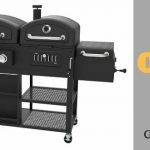 Does size and weight change grill times? Absolutely! You wouldn’t cook a wing for the same amount of time as a whole chicken, would you? So why would you cook an extra thick and juicy chicken breast for the same amount of time as a thinner one? That is just asking for trouble and terrible food! Now, when many people say “weight”, what they actually mean is the thickness of the cut. The weight doesn’t necessarily matter, but the thickness of the meat is what will determine the cook time. You can have two chicken breasts that weigh exactly the same, but if one is thicker than the other, the thicker cut will take longer to cook. When comparing identical cuts, you want to look for an even size and shape. If you are not someone who butchers your own meat, make friends with your local butcher! Let them know exactly what size cut you are looking for. That can go a long way in ensuring uniformity in your cuts of meat! Do skin and bones change chicken grilling times? The answer is yes! 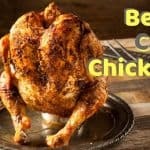 While many people argue about whether or not bones conduct heat, the truth is chicken with the bones left in will cook for longer than boneless chicken. If you are planning to cook bone-in chicken, this is why you should leave the skin on. The skin helps to lock in the moisture and keep the meat tender and juicy. A boneless and skinless chicken will cook much faster than its counterpart. It is quick and convenient. But with a fast cook time and no skin to retain moisture, you also run the risk of the meat drying out. You have to keep a careful eye on the cook time and internal temperature. Should you rest chicken once cooked? Just like most other great cuts of meat, chicken needs to rest after cooking. Slice into it when it is fresh off the grill, and you are going to lose all of those delicious juices! When you remove the chicken from the heat, tent it with foil to keep it warm. If your chicken is cooked with the skin on, keep your tent loose so as to avoid too much moisture penetrating the crispy skin. Rest smaller pieces of chicken for about five minutes. A half or whole chicken needs to rest for upwards of 15-20 minutes. Resting allows the juices to be fully absorbed by the meat. They won’t leak out when you start slicing. This is also when carryover cooking takes place, meaning that your chicken will continue to cook internally from the residual heat. Be sure to check your chicken’s internal temperature before serving to ensure proper doneness. Think chicken is safe to eat once the juices run clear? Think again! That is simply a myth. The only real way to reach an optimal degree of doneness is to be aware of the grilling time and the chicken’s internal temperature. Two reasons why your cook time and temperature matter so much when cooking chicken: #1 – SAFETY and #2 – TASTE. Raw chicken is a bacterial playground. High heat will kill all of the bacteria and ensure that your food is safe to eat. Nobody wants food poisoning! It is also important to not overcook the chicken, as then it becomes dry and loses flavor. It doesn’t matter how much you marinated or seasoned, overcooked chicken is tough to swallow. This is why you need to be mindful of how long you leave the chicken on the grill. As we have discussed, a lot of factors can change your cook time. Things such as what cut you are using, whether it is boneless or not, and its size can all play a role in determining the proper time. You should view the suggested cook times of any cut of meat as more of an estimate than a hard and fast rule. A no-fail solution to check for doneness is to rely on the internal temperature of the meat. The internal temperature should be 165 degrees Fahrenheit. We recommend using one of these instant-read thermometers and inserting it at the thickest part of the meat. Make sure to only penetrate to the center of your meat, not all the way through to the hot grill. This is much safer than just relying on a recommended cook time. An instant-read thermometer will quickly become your go-to tool for grilling! If you have ever wondered about how long to grill a certain cut of chicken, you are not alone. While hitting 165 degrees is the key to perfectly cooked chicken, different cuts can take different amounts of time to hit that sweet spot. Keeping an estimated amount of grilling time in mind can help you plan out your meal or backyard barbeque accordingly. Grilling an entire chicken may seem intimidating, but it is much simpler than you would expect. We even have a guide to grilling a whole chicken to help you cook your fowl without fail! To impress your friends and family with a perfectly cooked bird, there is a good rule of thumb. 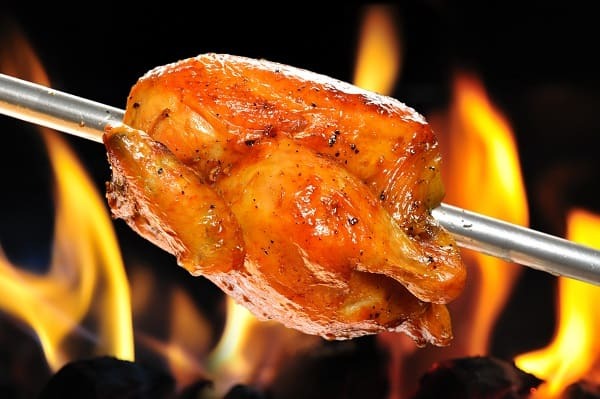 Grill for 20 minutes per pound until the thickest part of the breast or thigh reaches 165 degrees Fahrenheit. Your average whole chicken weighs around four pounds, so you can roughly estimate 1.5-2 hours of grill time. Let it rest for 20 minutes before serving. There are two different approaches to grilling a chicken leg. The first approach uses direct heat over a medium-high flame (around 450 degrees). You will need to grill the legs for around 35-40 minutes. Flip them every five minutes to prevent burning. The other approach is to use indirect heat for the first 30 minutes. Flip them once at fifteen minutes. Then, transfer the legs to direct heat for ten minutes, flipping once at five minutes. This allows the legs to brown and crisp more. Allow the legs to rest for ten minutes before serving. A party favorite, grilled chicken wings are easy, delicious, and taste totally different from the deep fried version. Plus, they cook up quick! Estimate around 20-25 minutes total, flipping as needed. You are looking for nice char marks and for the meat to cook through to 165 degrees Fahrenheit. If some of your wings start to char more than others, move them to an indirect heat zone. When all of the wings have finished cooking, remove them from the heat and toss in a sauce! Perhaps the most popular cut of chicken, the breast is a tender and juicy cut that cooks quickly. We are talking only 10 minutes over direct heat! You will want to flip once halfway through the cook time. This lets beautiful sear marks develop. When it reaches 165, remove from the grill and let it rest for 5 minutes. If you are a fan of grilled chicken breasts, you should try them in a smoker! Try our guide to smoking boneless skinless chicken breasts for deliciously smoky chicken. It is one of the best ways and our favorite way to prepare a chicken breast. Chicken thighs are typically cooked bone-in and skin on. For this reason, they can be grilled similarly to chicken legs. If cooking on direct heat, expect to flip them every five minutes for about 35-40 minutes total. Let them rest for 10 minutes. You can also grill the thighs for 30 minutes over indirect heat, flipping once halfway through. To get the skin brown and crisp, transfer the thighs to direct heat for ten minutes. Flip them once at the five-minute mark. Then, remove them from the heat once they hit 165 degrees Fahrenheit and allow to rest for 10 minutes. Chicken kabobs are great for quick and delicious weeknight dinners or the perfect party food. They require very little cook time, around 15 minutes. They should be turned frequently to prevent burning. This also ensures even cooking on all sides of the chicken. When they reach 165 degrees Fahrenheit, transfer them to a platter. Allow the kabobs to rest for around 3-4 minutes before serving. Grilling is one of the most fantastic and rewarding ways to cook chicken. Whether you are grilling whole or parts, the end result is always delicious. 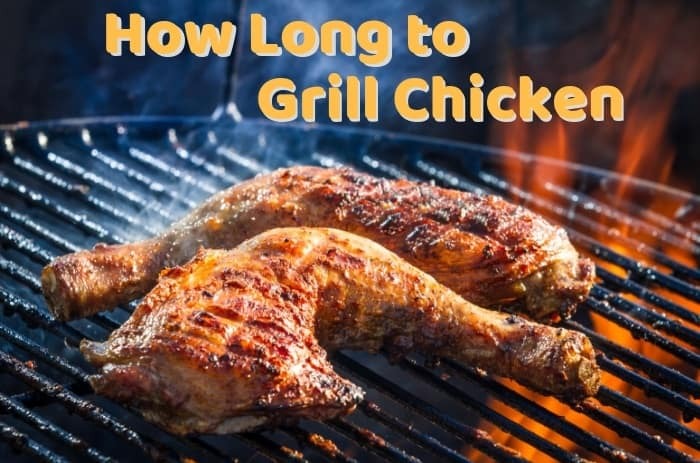 We hope this guide has been helpful in determining how long to grill chicken. Now, it is time to get grilling!